The quickest and most effective way to start improving your success with SEO, is to change the way that you’re thinking about it. This ultimately comes down to a ‘cognitive shift’, which will improve the way that you approach your on and off-page changes and simultaneously give you a big boost in performance. So, what does this entail? Where have you been going wrong with your SEO? And what do you need to change about your approach to start seeing positive improvements for the long term? Stop Trying to Trick Google! The first and most important thing to change about your approach is to stop looking at SEO as a bid to ‘trick’ Google as many people do. It’s this mentality that causes people to spend a lot of time and effort spamming the web to build links, to steal content and ‘spin’ it in order to change it sufficiently for Google to view it as unique, to ‘keyword stuff’ and more. It’s about working out Google’s algorithm and then employing that knowledge in order to try and get your content to jump straight to the top of the SERPs… right? Google, as you might imagine, does not like being gamed. It did not design its algorithms in order to create a convenient way for site owners to get to the top of their search terms and it doesn’t want to see people using spam as a way to thrive online. As such, the more you take part in these kinds of practices, the closer you will come to getting penalized by Google and completely removed from the index! Even if you can find a ‘private blog network’ and get to the top of Google in short term, in the long term Google is bound to evolve and to find ways to remove ‘cheaters’. So what do you do instead? Simple: you focus on delivering amazing quality content for your visitors and partnering with other high quality sites. You make yourself a trusted brand and you help to properly answer the questions that Google’s users want answered. Google’s job is to make sure that when someone searches for a particular subject, they are provided with a useful, relevant and well-written response. Google needs to keep doing that in order to keep one step ahead of Bing and Yahoo! By creating high quality content, you are aligning your goals with Google. By showing Google that you work with trusted brands, you are suggesting that your content is trustworthy and high quality. 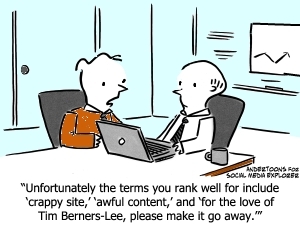 And when you do that, Google will want to try and pair your site to the right search terms. Make it so that visitors will be glad they found your site and Google will be glad to show it to them! 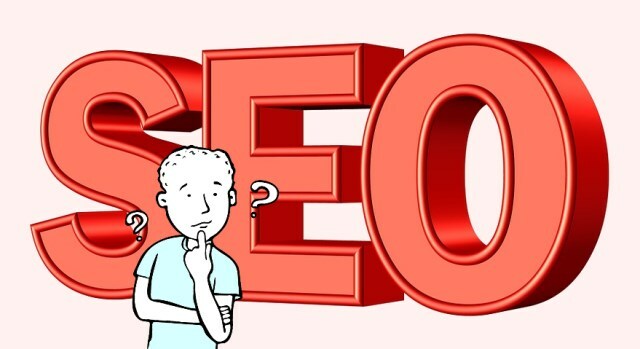 SEO is simply this: doing anything that will help you to legitimately rank higher in Google. And right now, that just means creating great quality content and links.